"Liverpool have won four matches without being anywhere near top gear this season, and they often play better against better opponents." There was plenty written about Spurs during the summer, with their lack of transfer activity being the main topic of conversation. A run of three straight wins definitely quietened their critics - with the 3-0 win at Old Trafford being the highlight - but they were beaten 2-1 at Watford a fortnight ago, and they now have something to prove. The international break probably came at the right time for Tottenham as they prepare for the start of the Champions League. Mauricio Pochettino's squad will be tested over the next few months, and he will be desperate for Harry Kane to remain fit for the duration. The England man cut a frustrated figure at Vicarage Road as he didn't get much service, so it will be interesting to see if Pochettino changes his midfield - be it the personnel or the shape. Son Heung-min returns from a successful Asian Cup campaign with South Korea and could go straight into the team, replacing Dele Alli who picked up a minor injury while with England. Goalkeeper Hugo Lloris remains out. It's been the perfect start to the season for Liverpool as Juergen Klopp's side have 12 points from 12 and have conceded just one goal. That being said, the performances haven't been on the same level as some of the ones from last year, with the latest one against Leicester being particularly poor. This is the first real test for the Reds this term as, no offence to West Ham, Crystal Palace, Brighton or Leicester, Tottenham are on a different level to that quartet. It will be interesting to see who Klopp picks in midfield, but there is a strong chance that Naby Keita will be back in the XI after he missed out last time, probably alongside James Milner and one other. Mo Salah was subbed at the King Power following a frustrating display, but it's hard to imagine him not starting this match, with the red-hot, Sadio Mane and Roberto Firmino completing the trio. Liverpool will not only be aiming to make it 15 points from 15 at Wembley, they will also be looking to banish the memories of the 4-1 defeat they suffered there last season. Dejan Lovren and Simon Mignolet were the fall guys that day, but this is a new-look Liverpool defence, and it will only be Joe Gomez who retains his place from that match last year. The visitors are the marginal favourites for this fixture as they are trading at around the [2.5] mark. The Betfair Layers clearly have confidence in the Liverpool defence, and it's really not hard to see the improvement in it. Virgil Van Dijk has proven to be a fantastic signing as he marshals the back four exceptionally. Joe Gomez has been stellar alongside him this season, and full-backs, Trent Alexander-Arnold and Andy Robertson have been impressive in both defence and attack - the Scot being the pick of the pair. Tottenham have only played once at home this term, and they beat Fulham 3-1. It did take two late-ish goals to get the job done though, but it is worth noting that they only lost two Premier League fixtures at Wembley last year. 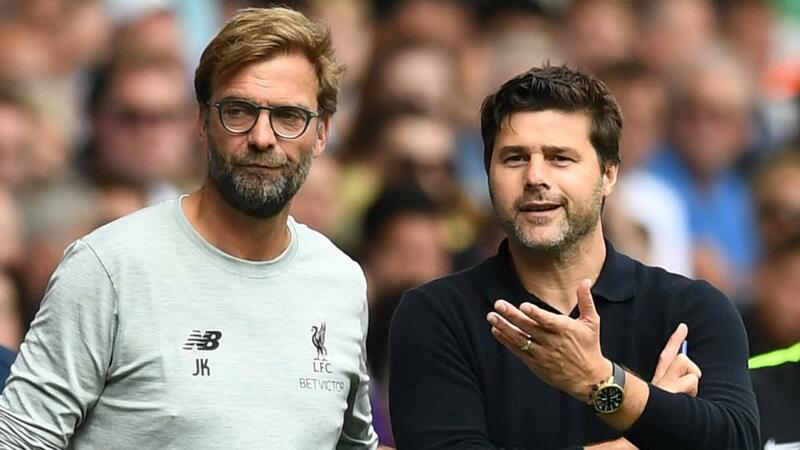 The draw is priced up at [3.65] - four home draws for Spurs last season and five away ones for Liverpool. It was also a draw the last two these teams met, as a dramatic finale at Anfield saw the game finish 2-2. Unfortunately for supporters of the North London club, I am going to have to recommend an away win on Saturday. Liverpool have won four matches without being anywhere near top gear this season, and they often play better against better opponents. The same can't be said for Spurs though as Opta tells us that since the start of the 2014-15 season, only Arsenal (37) have won fewer points in Premier League matches between the 'big six' sides than Spurs (54). The improved Liverpool defence is also a determining factor. There is a clear favourite in the Over/Under 2.5 Goal Market and it's the former that is trading at odds-on, at [1.68]. A mere mention of the names of these two teams would have you reaching for the back button, but I'm not convinced, and I quite like the Under at [2.38]. There has been a definite shift in the nature of Jurgen Klopp's tactics this season, as the players aren't so gung-ho when they don't need to be. They wouldn't have conceded a single goal if it wasn't for an Alisson howler, and Virgil Van Dijk has been a rock at the centre of defence. A same game multi is a great way to have a bet at a big price and I have picked one out at [45.44], that follows the theme of what I have predicted so far. I am going for a Liverpool win, Under 2.5 Goals, the game to be level at half-time and Trent Alexander-Arnold to be booked. The latter has already been yellow-carded three times this season and he still needs to mature as a player.